ARUCAD > Haberler > Ayşe Naci Salahi is putting on display, at ARUCAD Art Space, the underwater photographs she had taken with the aim of creating an awareness on pollution. Ayşe Naci Salahi is putting on display, at ARUCAD Art Space, the underwater photographs she had taken with the aim of creating an awareness on pollution. Ayşe Naci Salahi is putting on display, at ARUCAD Art Space, the underwater photographs she had taken with the aim of creating an awareness on pollution. 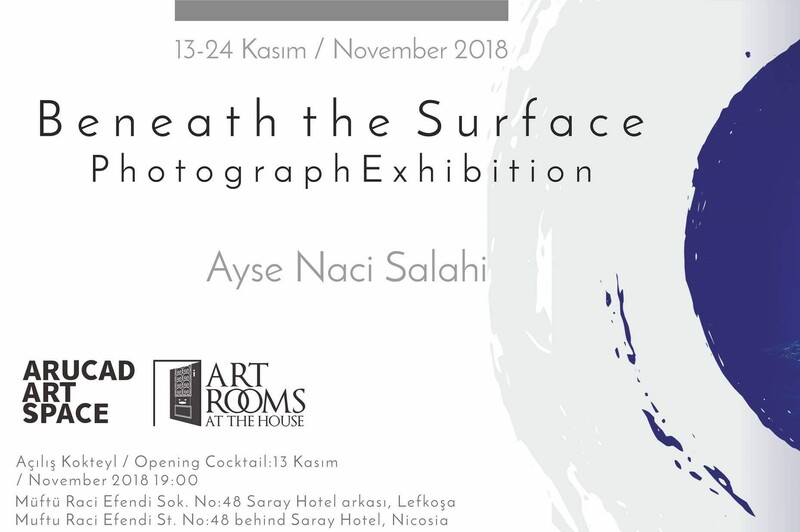 The exhibition of photographs of natural marine life, alongside photographs of debris accumulated on the sea bed can be visited at Nicosia’s Art Space between 13-24 November, 2018. Müftü Raci Efendi Street, No: 48, behind Saray Hotel, Nicosia. “About two years ago, when I had first started diving with an underwater camera, a friend of mine had started to accompany me. The timing of my friend’s decision to accompany me coincides with the time when I had started sharing, in the social media, photographs of the undersea, with the intention of showing the rubbish that had accumulated on the seabed, how we collected them and to reveal what a beautiful enviroment we had, only if we did not pollute it. My aim was to reveal the beauty of the undersea,which many were unable to see; as well as sharing the photographs of the pollution created by the human beings and the damage that this wreaked; and thus create an awareness, no matter how small. That my friend had started diving with me is an indication that I had started creating this awareness. For most of us the sea does not mean much more than the water that we go in during the summer months in order to cool down or to swim. Therefore, usually, we are only concerned with the surface , and we only look at the surface. For instance we only think about how beautiful the sea looks or how lovely its colour is and than we turn our heads into another direction. The number of those who concern themselves with what actually exists under the surface is negligible. Pollution of the environment and the adverse effects this pollution has on the natural life do not disturb us in general, for as long as we do not see it with our own eyes. However, if we peer into below the surface with a sharp eye, we can see the how even a single plastic bottle or a carrier bag is creating an environmental disaster. There must be those who are asking with sadness “Why do we not come across sea urchins anymore? Why we do not as many seals or sea turtles as we used to?” But are we acting to stop, or at least to slow down this sad state of affairs? Even though I loved swimming ever since I was a child, I became aware of the fact that the seabed is covered with a wide variety of waste; such as plastic bottles, carrier bags, tin cans, plastic cans; when I had started diving with a mask and flippers off the coast of Yeşilırmak to watch the fish. I started collecting the rubbish and taking them out every time I went into the sea. Thus during the first summer season when I had first started to dive, I came out from the sea every weekend with armloads of rubbish. This summer, as a result of the awareness that I had created, we were able to enlarge the group and with 4-5 people we started going to the Famagusta and Kyrenia beaches,as well as the Lefke ones, and to photograph the underwater and clean it up as much as we possibly could. We are attempting to increase our numbers while we try to be heard by more people and to protect natural life as much as possible.